Among Long Island and New York City homeowners, the trends toward open floor plans and rooms that bring the outdoors inside are unmistakable. Today’s homes use more glass than ever before to welcome in the desirable natural light and incredible views. As attractive as glass windows and doors are, they lead to a host of problems, ranging from excessive glare to heat build-up and high energy costs to premature fading of carpets, furniture and draperies. 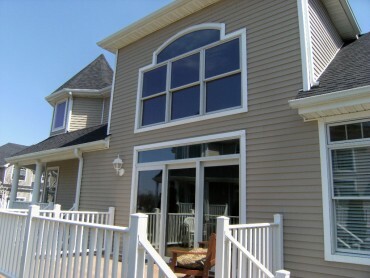 Vista and LLumar residential window film from Custom Window Tinting in Long Island lets you enjoy all the benefits of the sun without the side effects. Micro-thin and almost invisible, window film is a cost-effective and highly efficient alternative to expensive window replacement, and it offers even greater glare reduction, temperature maintenance and year-round comfort without compromising the natural light you love. In addition, residential window tinting blocks 99.9% of harmful UV rays that can put your family’s health at risk. In fact, it’s recommended by The Skin Cancer Foundation for the prevention of skin damage and skin cancer. Plus, our window film’s durability means it can stand up to possible break-ins, and it holds shattered glass together in the event of damage or an accident. That’s protection your family can depend on. We service Nassau, Suffolk Counties and NYC. In addition, Custom Window Tinting offers the full line of LLumar iLLusions decorative window film. With more than 50 styles to choose from, from gradients to frosts to opaques, you can bring an etched-glass look to cabinets, shower doors, interior windows, furniture, and any other products—all without the etched glass cost. Plus, iLLusions can be easily removed and replaced, allowing you to change your look as often as you change your mood. View our sun control window films with this LLumar Window Film Viewer. Contact the Residential Window Film team at Custom Window Tinting today to get a free estimate on transforming your home into something more comfortable!